The harmonica is commonly known as a harp, though that can cause puzzlement! I often get asked at gigs why the harmonica gets called by the same name as the true harp, the big one with strings. My answer is generally that its common names 'mouth harp' and 'blues harp' became abbreviated to 'harp' for short. I'll often blow or draw a glissando across all holes to demonstrate that it sounds similar to the arpeggio sound of a real harp: hence the 'mouth harp' name. There is an affinity in the physical construction too: both instruments have a linear array of notes from low to high, so that could have played a part in the harmonica getting the 'mouth harp' moniker. For me the connection is closer as the stringed harp plays a significant role in Irish traditional music, a genre for which I have an enduring passion. It's the national intrument of Ireland, and there is a considerable body of beautiful tunes composed on the harp by the great 17th/18th century master Turlough O'Carolan. From the occassional session with Irish harpists over the years, I knew the timbre of the two instruments together is really beautiful. They have a similar gentle acoustic volume too, despite the massive disparity in size! For ALL the reasons above I've long wanted to record an album with the Irish Harp. 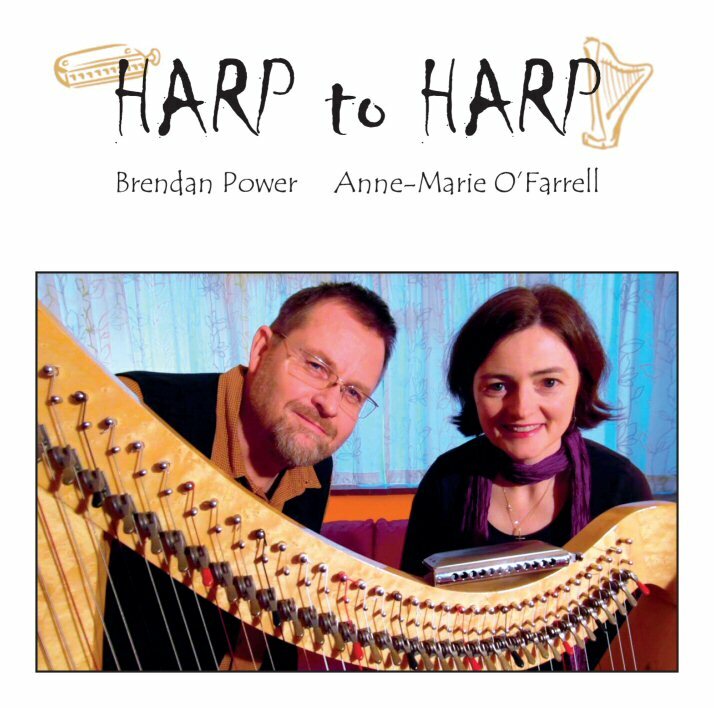 So I was honoured to be joined in this project by one of the most respected contemporary Irish players of this ancient instrument, Anne-Marie O'Farrell.